Sociologists, criminologists, and other scholars regularly study and debate what works about the American criminal justice system and what doesn't. In the current political and social climate, where reform of our ravenously bloated criminal justice system is on the agenda, this research has taken on a new importance and urgency. Because it is a fact that most prisoners will eventually return to the community, better understanding of prisoner reentry success and failure is crucial. What does it take for a prisoner to successfully navigate the treacherous waters of reentry? Renowned scholar Marieke Liem, Senior Researcher and Chair of the Violence Research Initiative at Leiden University and a Marie Curie Fellow at the Harvard Kennedy School, analyzes reentry for a particularly delegitimized population— those sentenced to life imprisonment with the possibility of parole—in her new book, After Life Imprisonment: Reentry in the Era of Mass Incarceration. One in ten prisoners in the United States is serving a term of life imprisonment. The majority of those individuals were given an indeterminate sentence, which means that they will one day be paroled back to society. Their crimes are all very serious, most involving homicide, and the amount of time they spend in prison is great. Professor Liem asks this question: What can we learn about reentry by studying the success and failure of paroled lifers? Review of the experiences of the interviewed lifers reveals significant challenges that impede successful reentry. Professor Liem highlights the impact that disenfranchisement, lack of employment opportunities, culture shock, lack of stable housing, and the general dearth of available reentry services has on returning prisoners. All of these issues, combined with often damaged and fragile personal, familial, and social relationships, make a successful reentry difficult. With respect to returning lifers, there is another great difficulty that, perhaps ironically, very often foils the efforts of the returning prisoner: the parole system. Professor Liem reports that paroled lifers often cannot find work that their parole officers will approve, and that in practice, parole is a system of control and discipline (similar to institutionalization), and not one of rehabilitation and assistance. The stories of individual lifers related in the text reveal a healthy distrust of parole officers, whose decisions are godlike, life-altering, and often arbitrary. Traditional studies of prisoner reentry have focused on the concept of desistance, which translates loosely into staying crime-free. Professor Liem argues, however, that given the difficulty faced by lifers who are released but subject to parole, the focus should not be on how a lifer "goes straight," but how they manage the parole system, and how the parole system manages them. What the research indicated was that most lifers successfully desisted, but had difficulty adjusting to life on the outside, especially parole conditions, and violated. Thus, one of Professor Liem's proposals for improving the likelihood of successful reentry is to reform the parole system such that technical violations are not the reason so many prisoners return to prison. Her main suggestion, however, is that a concerted effort must be undertaken to improve the self-efficacy of returning prisoners. The research indicates that successful reentry turns almost entirely on prisoners retaining a sense of control over their lives. As such, Professor Liem argues that improving self-efficacy through programs, job opportunities, mental health care, and support groups must be a significant focus of reform efforts. After Life Imprisonment offers scholars, policy makers, and interested readers an up-close look at the perils and possibility of reentry. The research is thorough, the interviews are informative, and the conclusions are spot on. 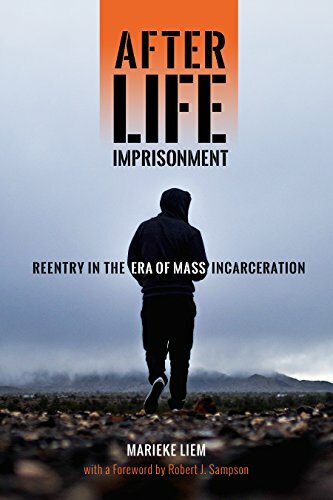 Anyone interested in understanding the realities of post-prison life for the long-term incarcerated would do well to pick up a copy of Professor Liem's excellent book.